As a specialist in gilding techniques of all kinds, Tim introduces illumination into much of his work and is well-known for his book ‘The Art of Illuminated Letters’. He has studied Persian and Mughal illumination and miniature painting, using authentic techniques and pigments. Tim’s original designs for illuminated letters and monograms are unique gifts for every occasion. 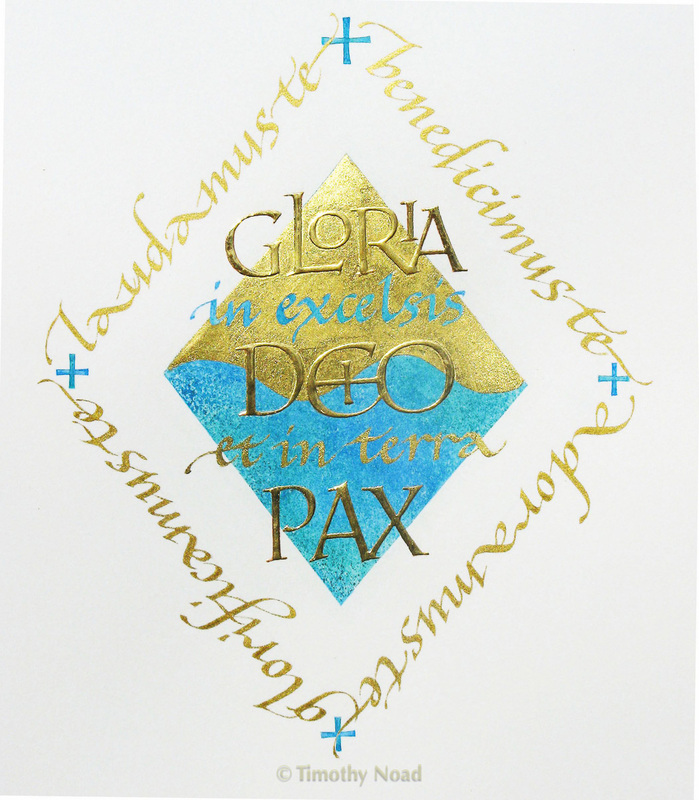 Words from the Latin Mass, 'Glory be to God on high', using gold and colour in various combinations. 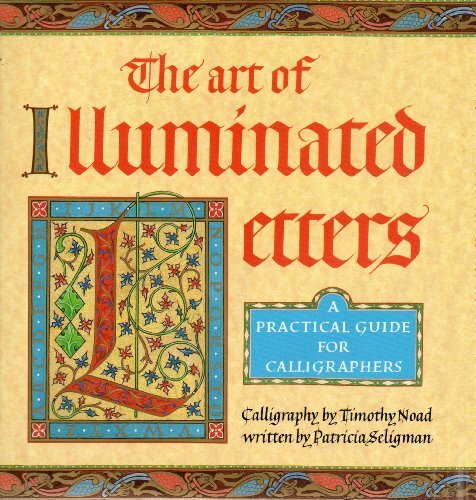 The Art of Illuminated Letters by Timothy Noad and Patricia Seligman, 1994. A popular and influential book, giving a step-by-step guide to twelve historical and contemporary illuminated letters, accompanied by alphabets, gilding and painting techniques. An Angel Messenger, adapted from a 16th century Persian illuminated manuscript of the Shahnama. 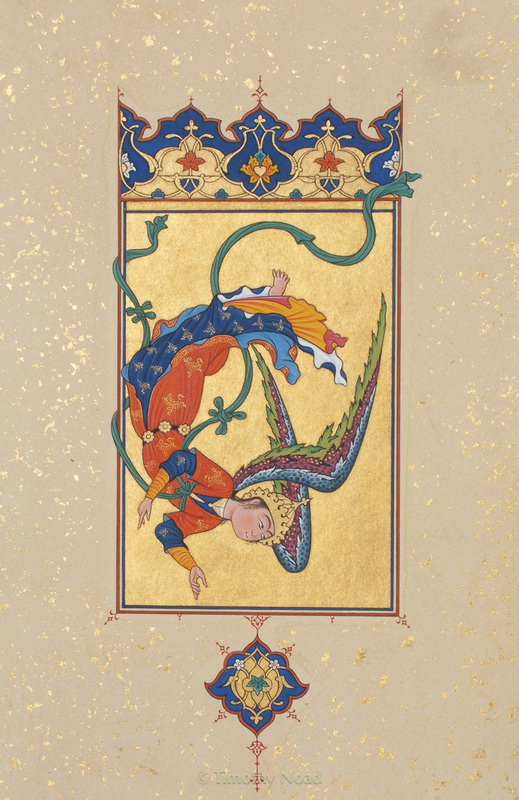 Painted using traditional Islamic techniques and materials, including lapis lazuli, malachite, vermilion and gold on paper. 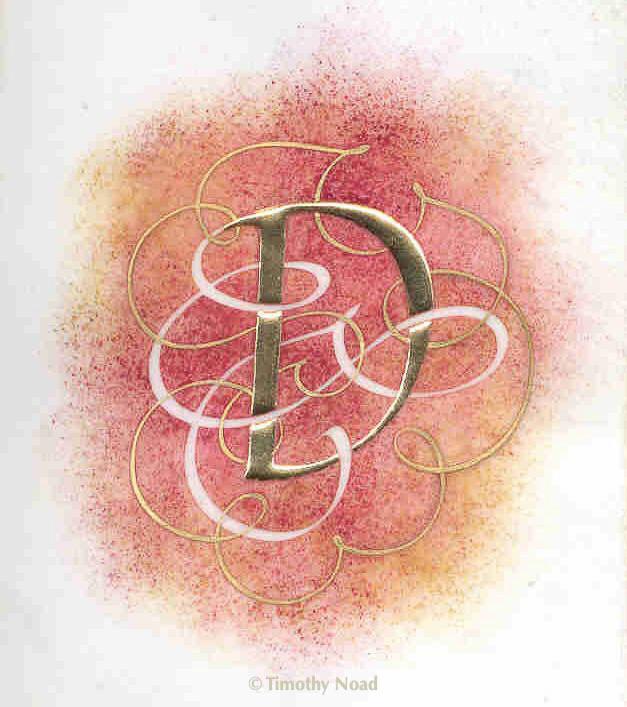 Illuminated Letter D. Gouache and gold on vellum. 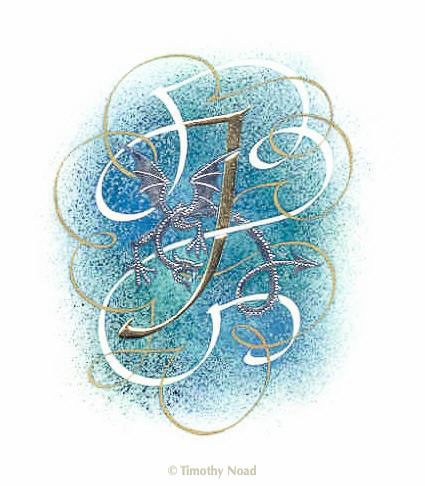 Illuminated Letter J with a Jabberwocky. Gouache, gold and palladium on paper. 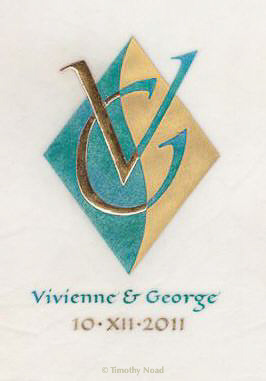 Vivienne and George: a Wedding Present. Gouache and gold on vellum. 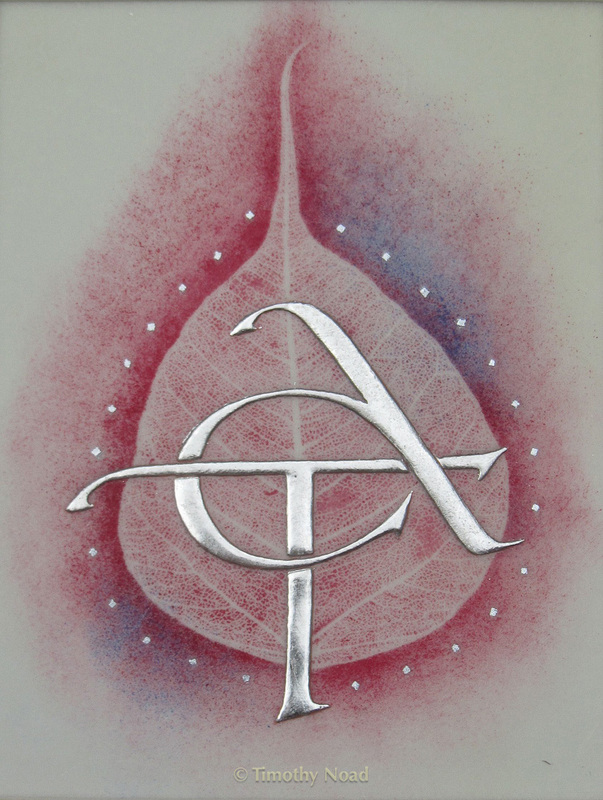 Silver Wedding Present based on a sacred Banyan leaf and monogram of T and A, in gouache and palladium leaf on vellum. 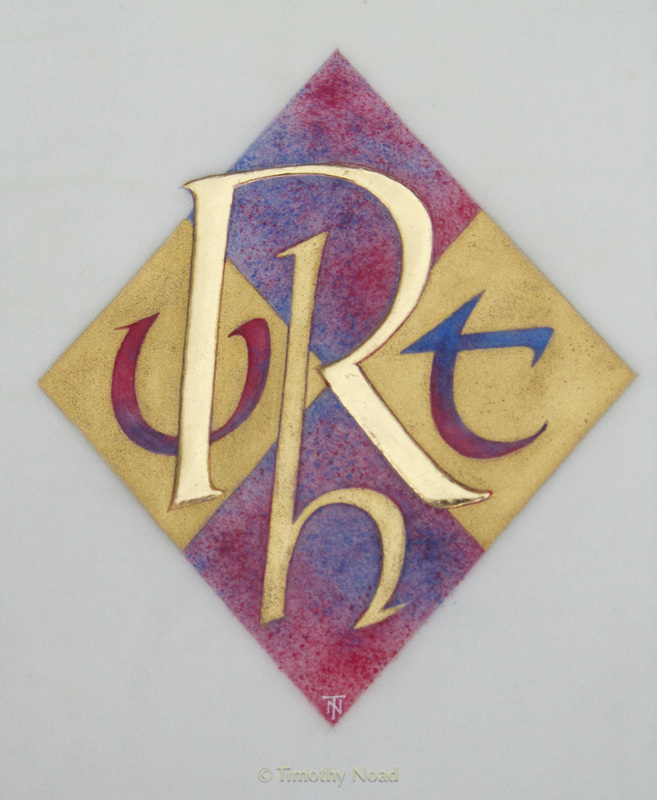 RUTH, an illumination in gouache and gold on vellum. 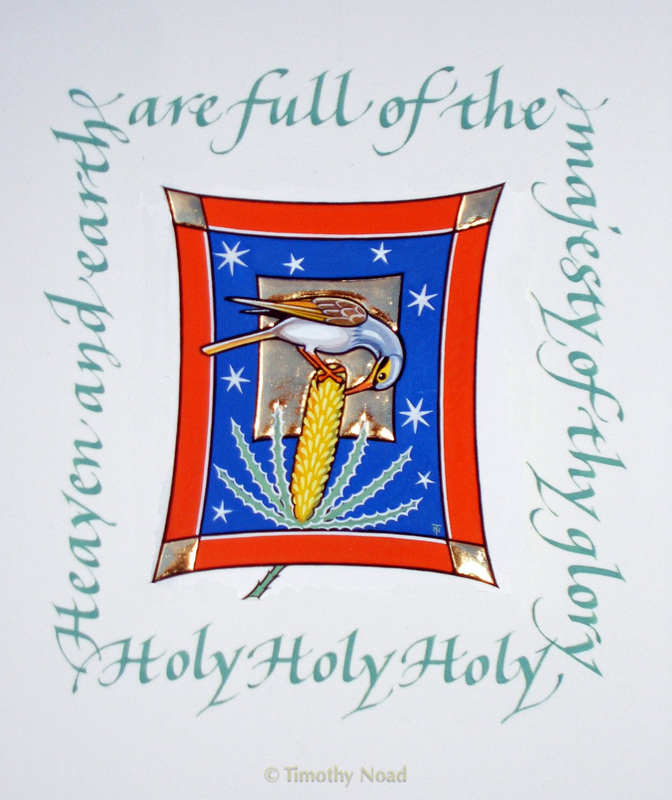 Yellow-throated Miner on a Banksia Flower, with words from the Te Deum Laudamus. Gouache and gold on paper. Ladon, Guardian Dragon. 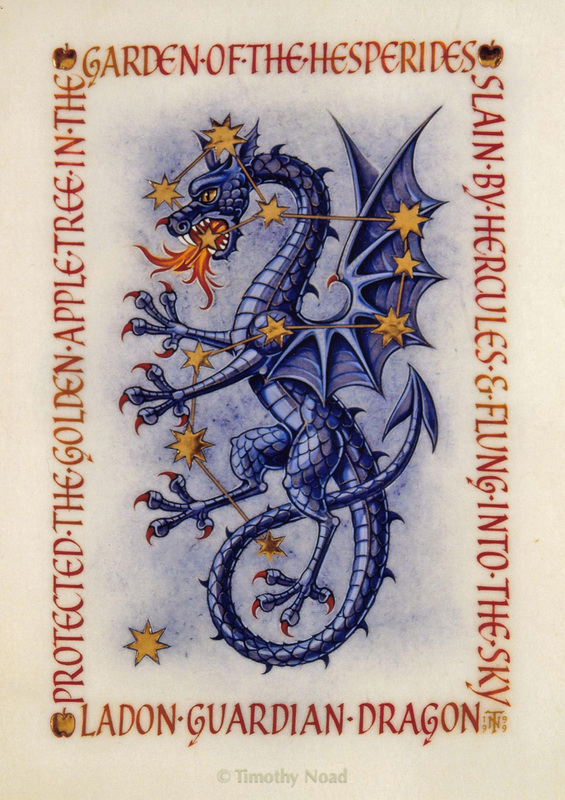 An illumination of the constellation Draco, in gouache and gold on vellum. A Shamsa, or sun motif, based on a 14th century Persian illuminated Hadith manuscript. 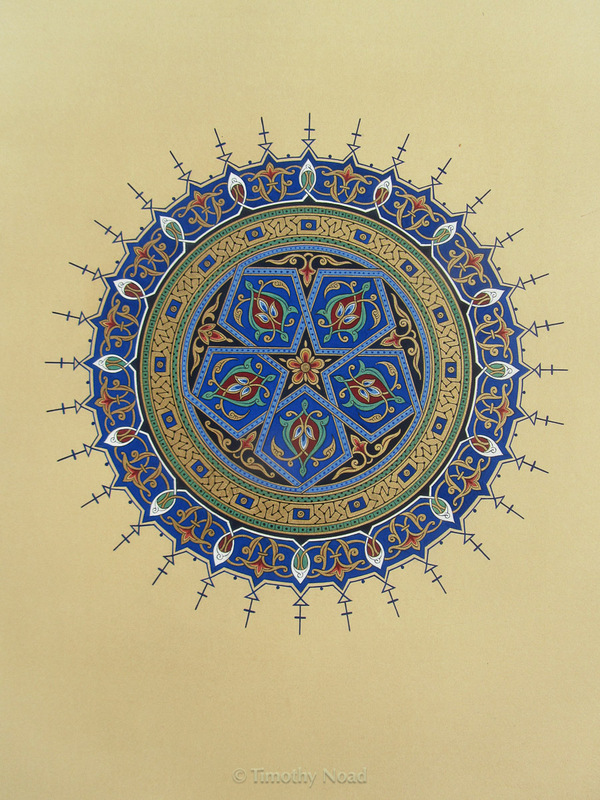 Painted using traditional Islamic techniques and materials including lapis lazuli, indigo, malachite and gold on paper.